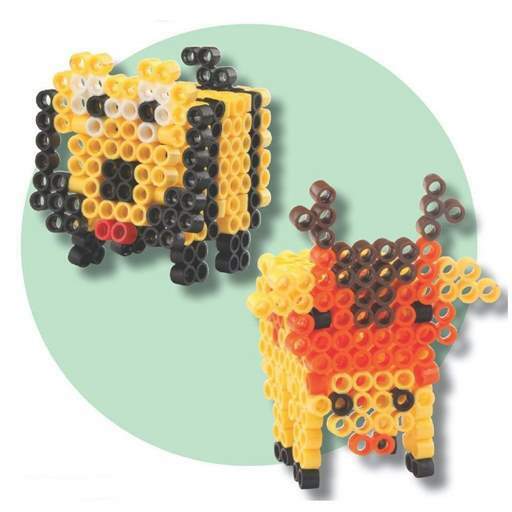 My kids had a blast with Zirrly Super Beads . I’m so glad we get to review it! With the winter weather keeping us indoors, fun crafts were a major blessing. We got the Mega Pack of Super Beads from Zirrly and it was more than enough for my three kids to share and make multiple projects. We still have a bunch left and they made multiple projects each. Take a look at the big pack we got, plus some of the project cards. I could barely get a picture of it because my kids were so excited. You can put the clear plastic grids together to make larger projects. My kids were 5, 7, and 10 when we got this and first tried it out. All three of my kids were easily able to complete their projects on their own. I had to help my 5-year-old a bit with the whole concept of it and with removing her project from the plastic grid. How well did they stick together? Pretty well, in fact. My kids usually had to respray a tiny part of their projects after pulling them off the grid. My 10 year old tried to do some Chinese characters on his own but his first design didn’t use enough beads to hold the whole thing together (he had some very thin “strokes” in the Chinese characters), so he reinforced his first project by adding in a white background and a border and that solved the issue. The projects have been played with and none of them have fallen apart. They are working really well. After my kids did their first projects I let them tell me how they liked Zirrly Super Beads . You can watch their little video below. Spoiler alert: They give it a 10 out of 10 and they want to make more projects. You can see the reinforced Chinese characters on the bottom. It was a great way to incorporate some foreign language study into craft time, even if some of the characters turned out to be a little hard to read. Zirrly has a lot of different project kits that you can order, to make a lot of different types of designs. 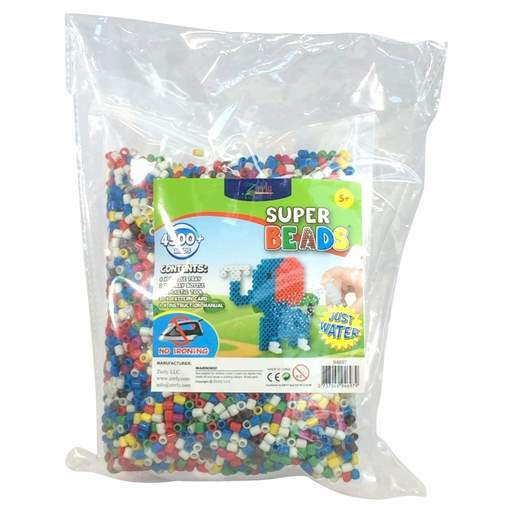 There were some 3D designs that looked really cool, but I was hesitant to try those out when my kids had not ever used these types of beads before. My kids saw the designs and they want to try them out next. Super cute!The Mega Pack has so many beads in it that we’ll be using it for a while. I put our beads into a big Rubbermaid tub to keep them from getting spilled – you can see what a large number of beads it really is! My kids are sooooo happy they got this craft. I did not realize you could connect them! Doh! Now we have a new way to use the rest of our beads, so thanks for that tip! That’s one of the things that makes our Super Beads so super!